And why? Because this trio of terrifying films has certain qualities. In fact, two of them were produced by Disney, of all production companies! 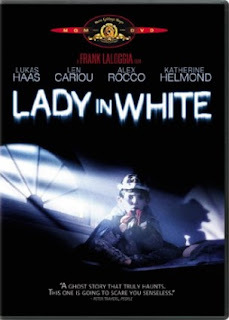 LADY IN WHITE -- As far as ghost stories go, this charming tale during the golden age of the kids adventure movie (like Goonies and Monster Squad, which honestly weren't terribly scary, but fun) somehow managed to freak the ever-loving sh*t out of me when I was a kid. Even today as an adult, certain scenes chill me to the bone. 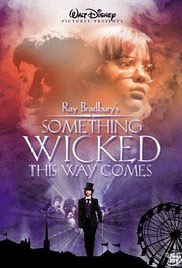 SOMETHING WICKED THIS WAY COMES -- The first of the two Disney features. And this one's a doozie. One of my favorites, and to make it even better. Based on Ray Bradbury's novel! Some of the scenes here are utterly mystifying. 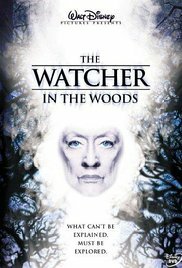 THE WATCHER IN THE WOODS -- I honestly had some freakish nightmares after watching this Disney period piece with nostalgia. And if you don't believe me on the scare factor with these extremely 'toned-down' horror flicks, test me. Give it a run. Rent these suckers out. Find them on Netflix. I dare you to sit down and watch one of these bad boys. Honestly, the reason why these films really hit home (more than, say, Nightmare on Elm Street, or Friday the 13th) is that it gets your brain thinking. You start wondering. You start asking questions. And you're a bit worried about what the answer might be. Mystery films and books take that cue and run with it, basically. True horror just takes that cue as well and adapts it. The result is pure gold.